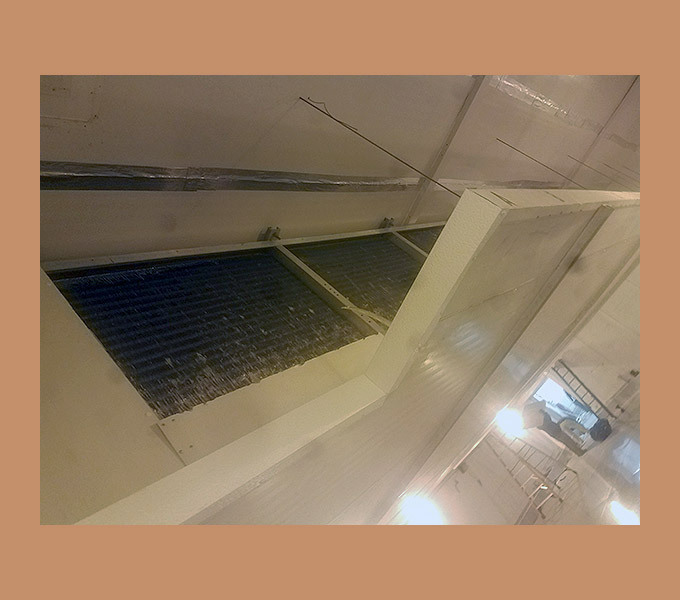 Our Current Projects at Accurate Refrigeration Design, LLC. 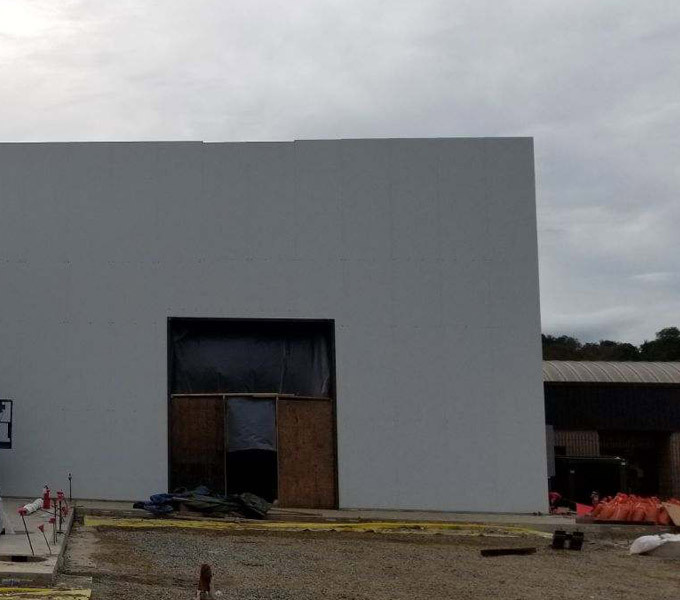 See What We Are Working On Now! 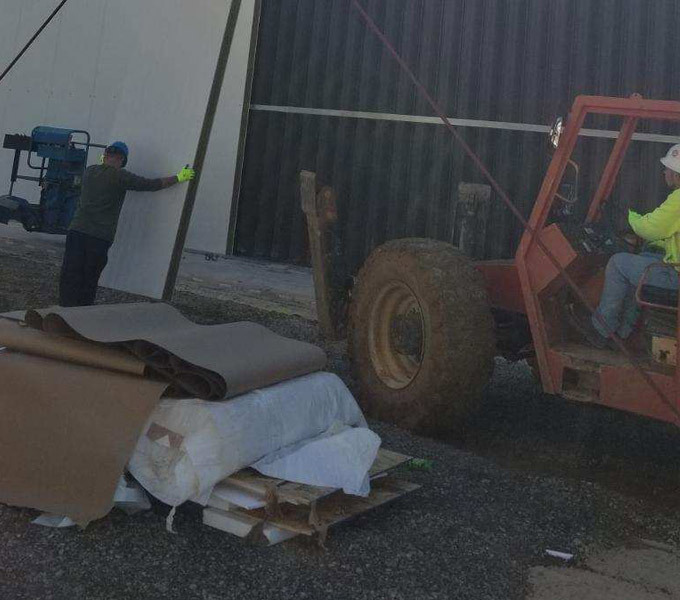 Blue Ridge Beverage is Virginia's largest full-service beverage distributor. 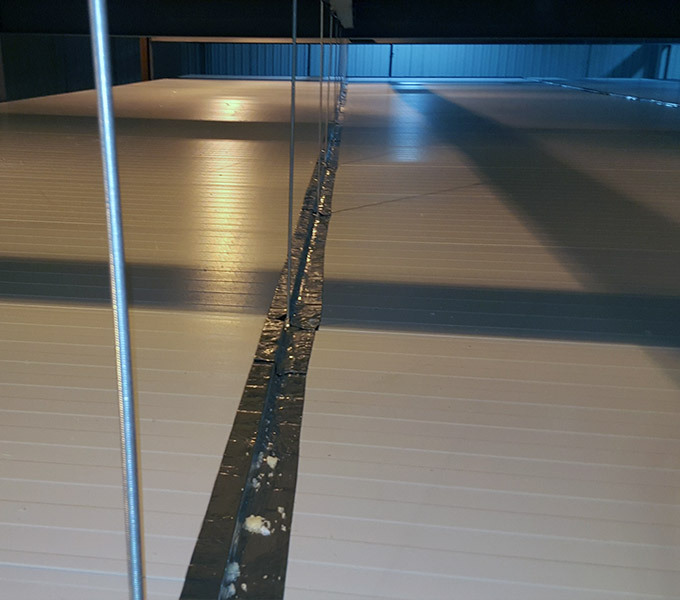 ARD worked with StarCity* IPS, for this special custom installation. 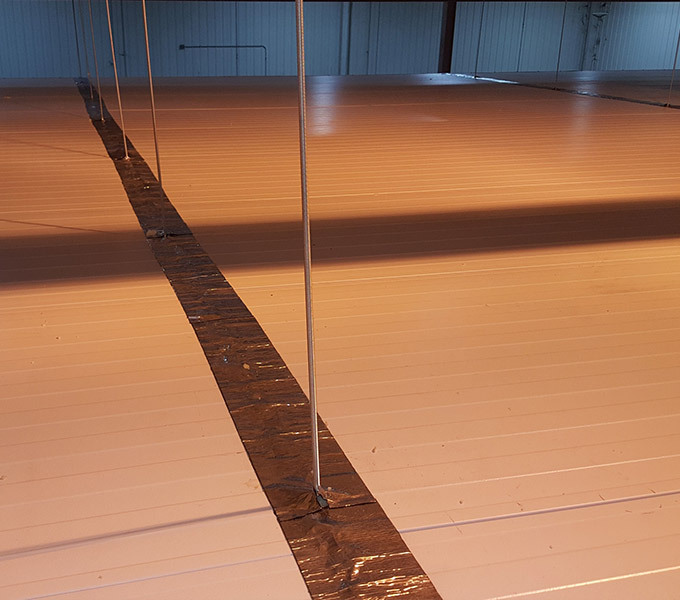 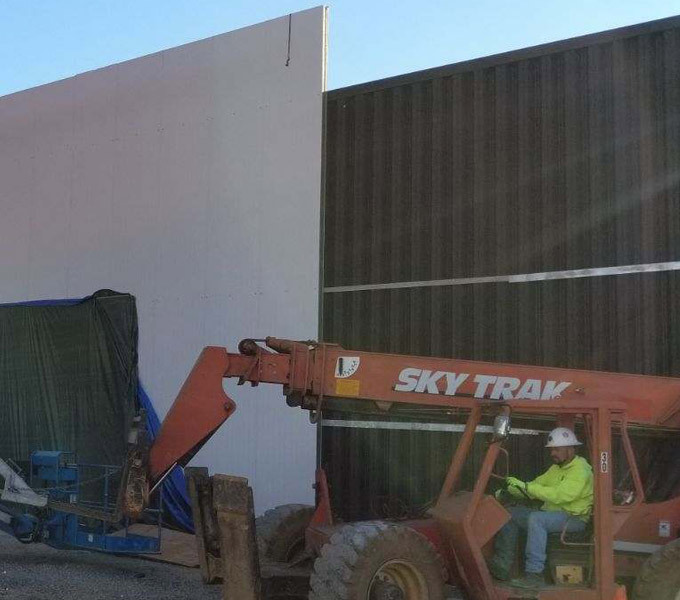 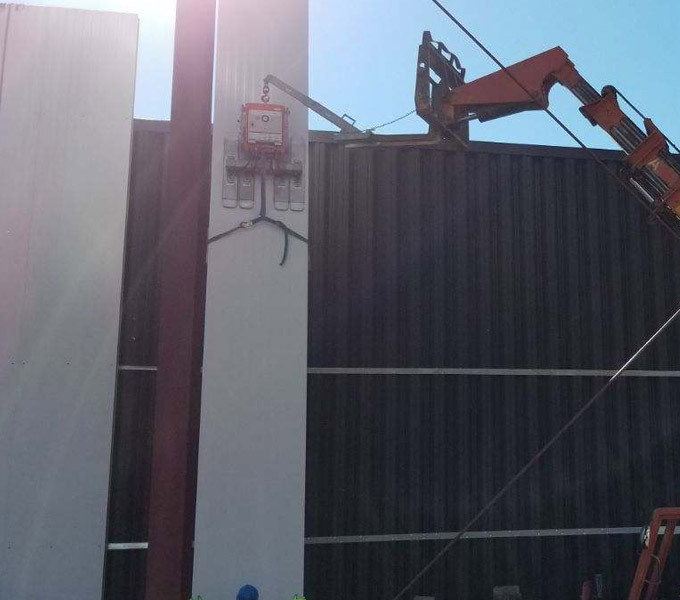 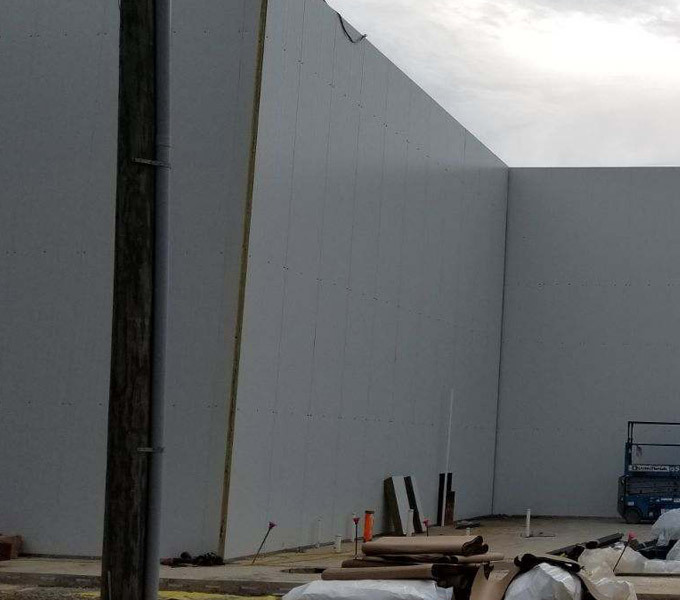 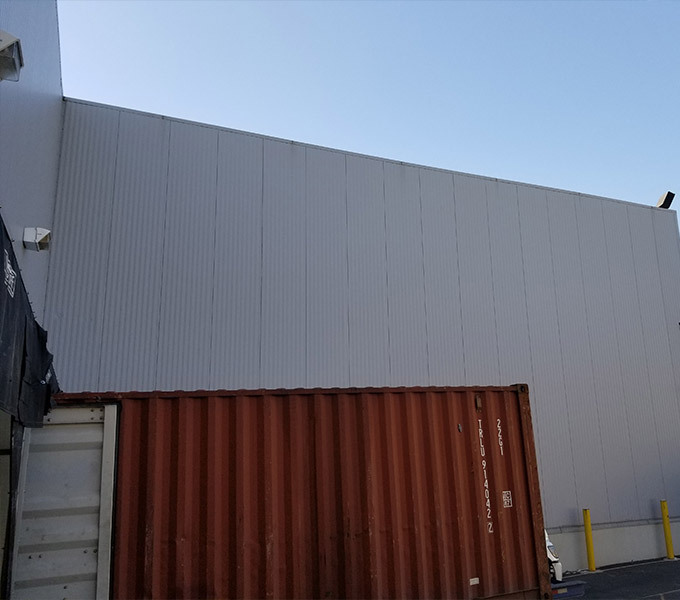 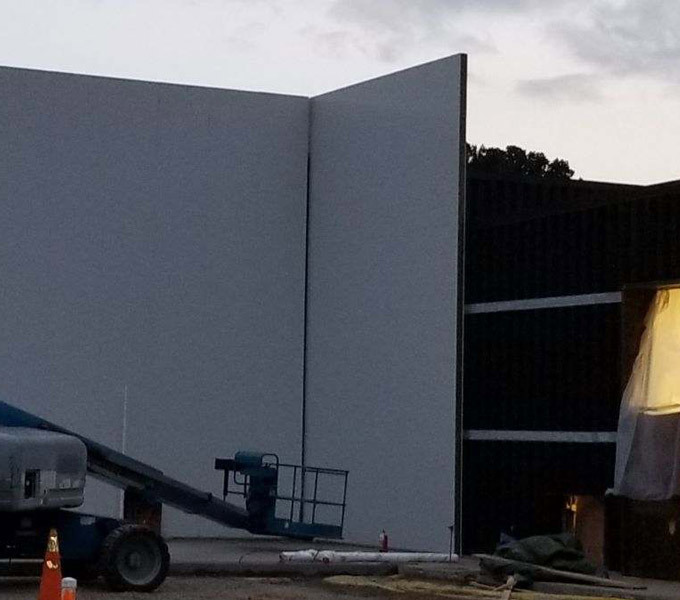 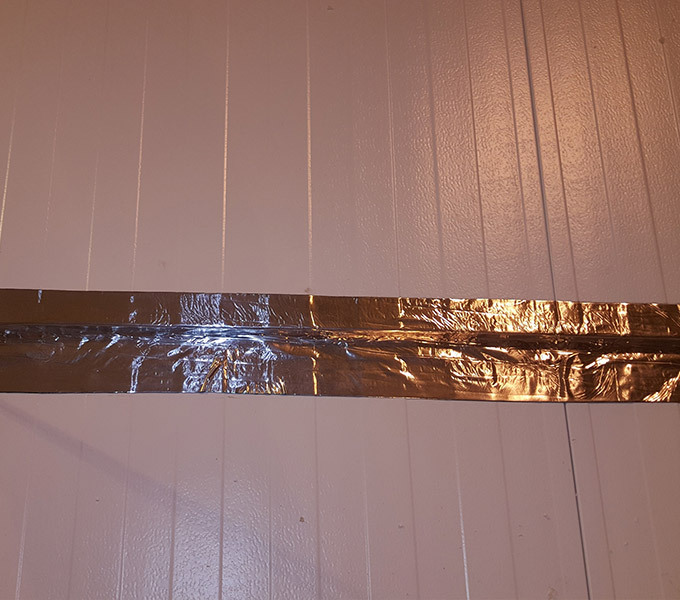 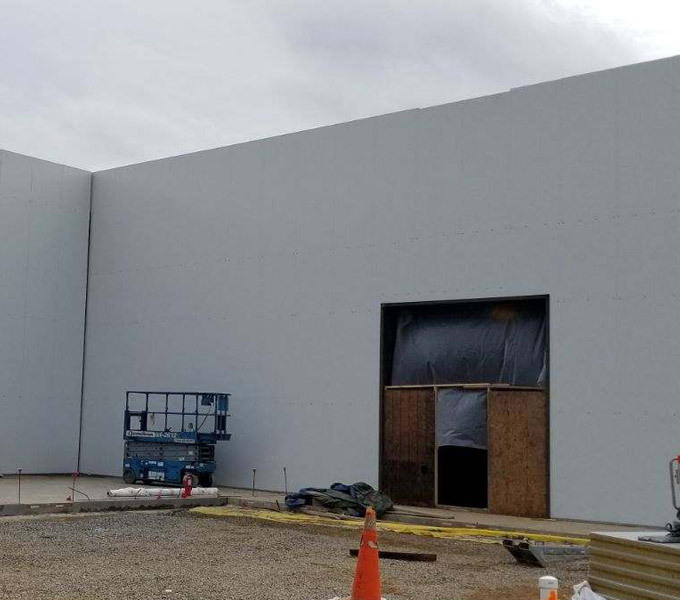 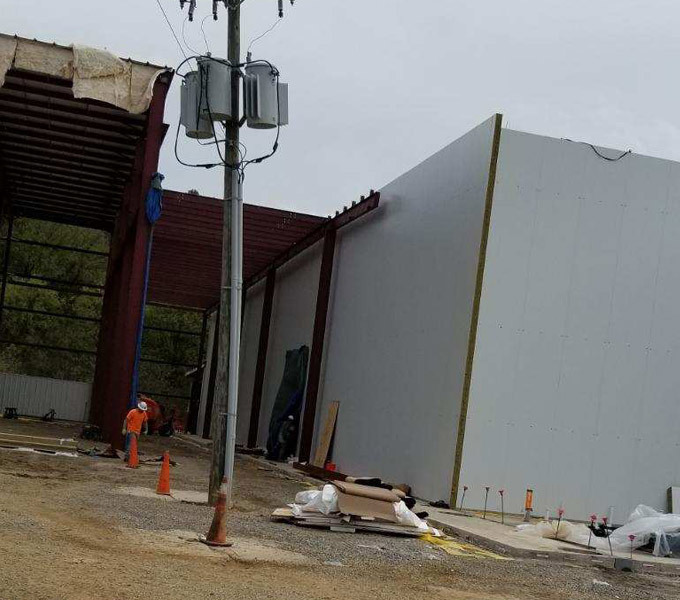 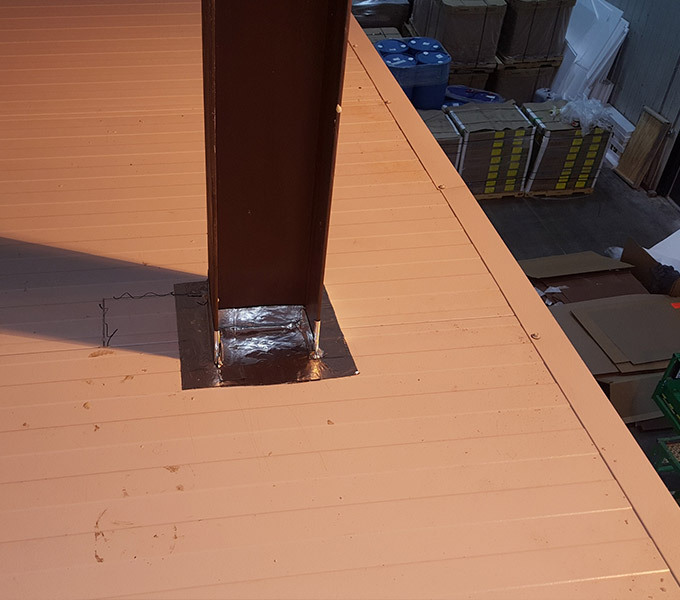 StarCity IPS Installed 29'-3" 6 inch fire rated panels from metlspan using a clad-Boy lifter. 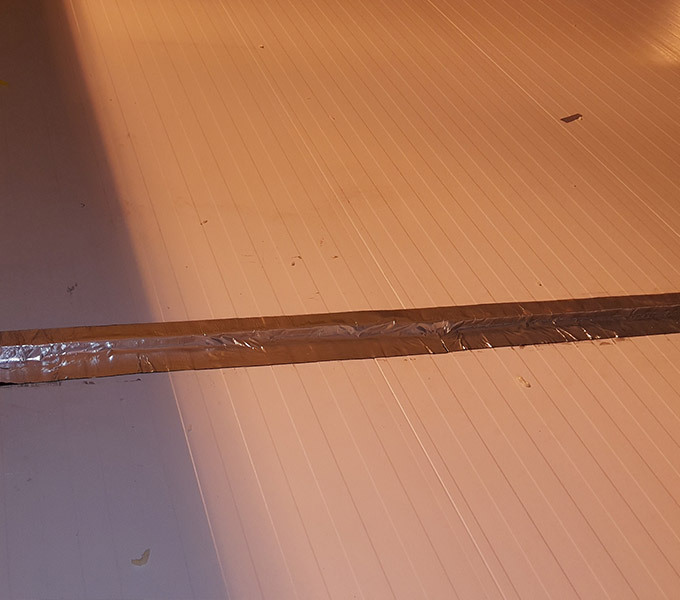 With clams and straps to keep the panels from bending or folding. 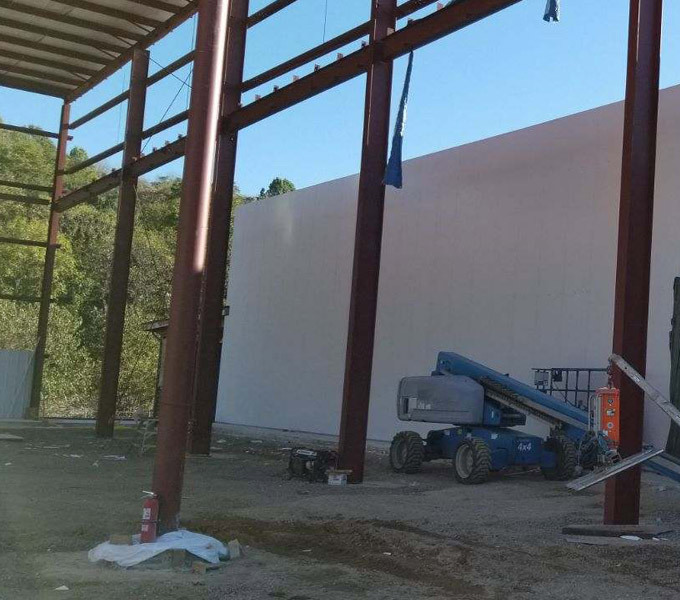 This is for the high skilled professional to install this Very heavy wool core panels each panel weighed 745 lbs. 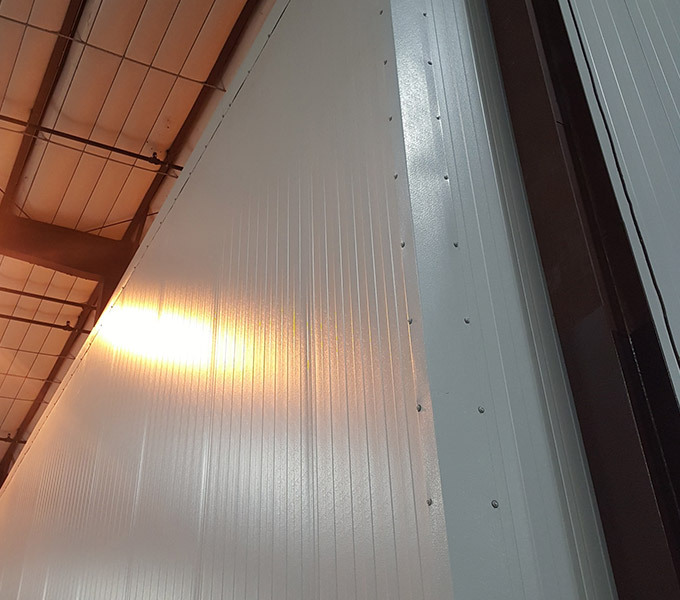 and there was 6,700 sq ft of this type of fire rated panel. 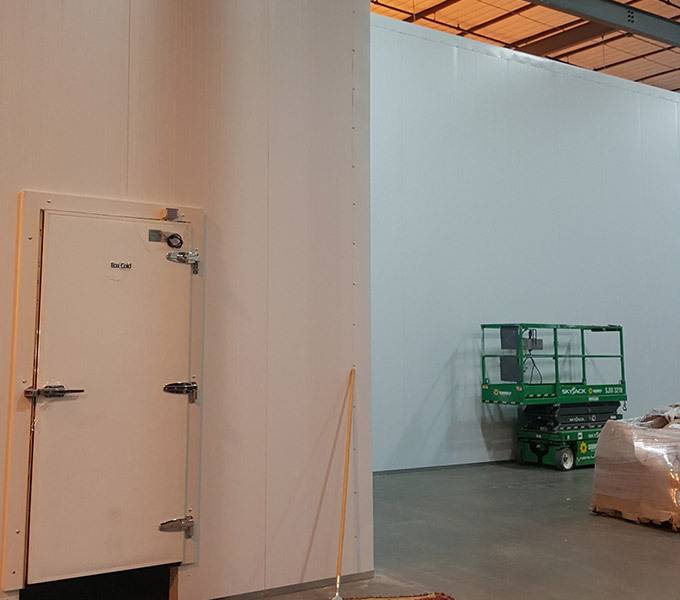 At Hillary's ARD built a freezer 40' x 100' x 20' and cooler combo to expand there inventory. 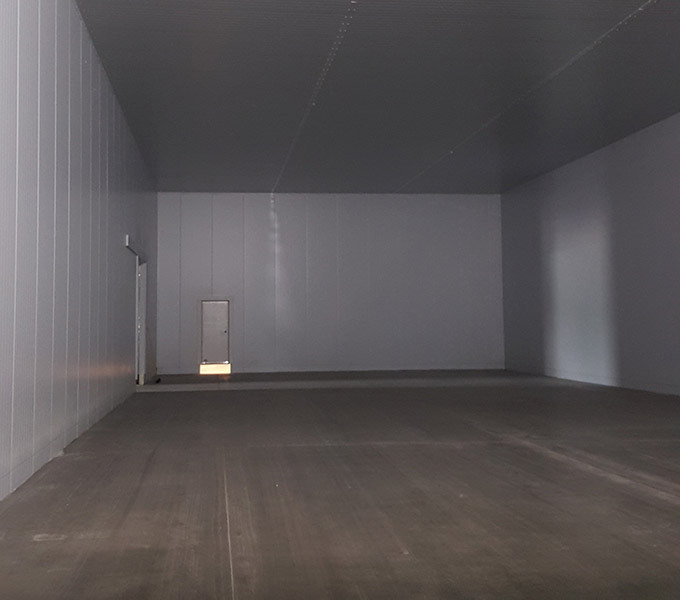 This project was completed in 3 weeks while Hilary's remained fully operational. 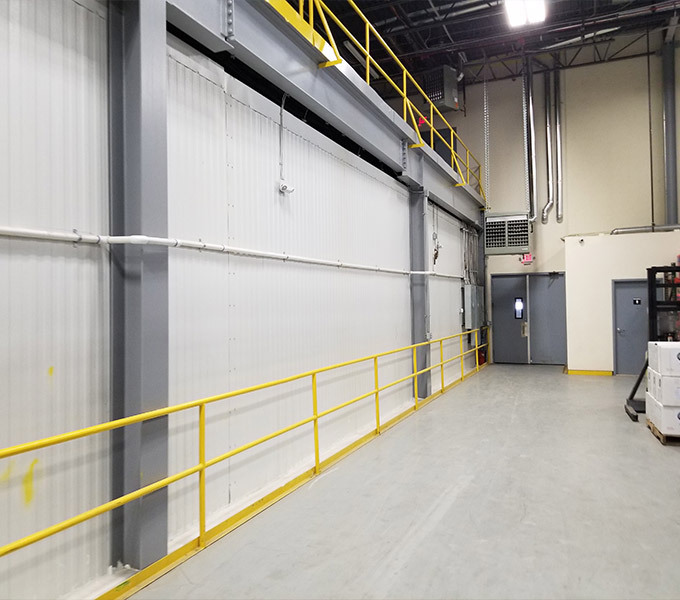 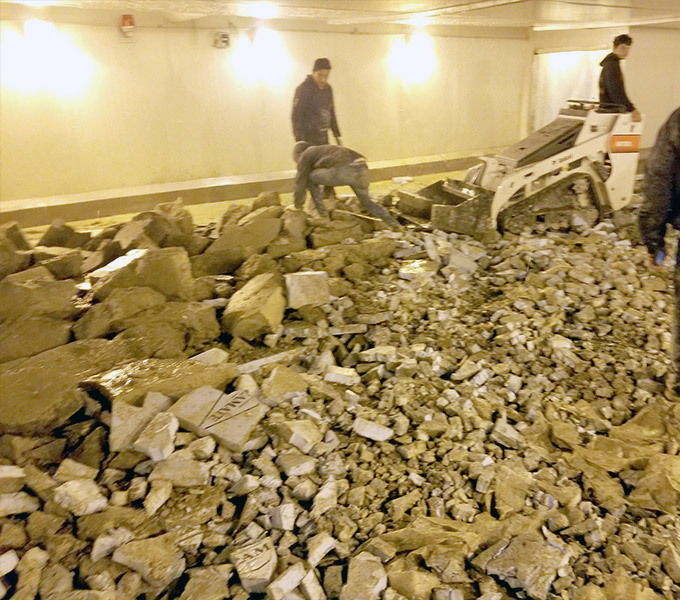 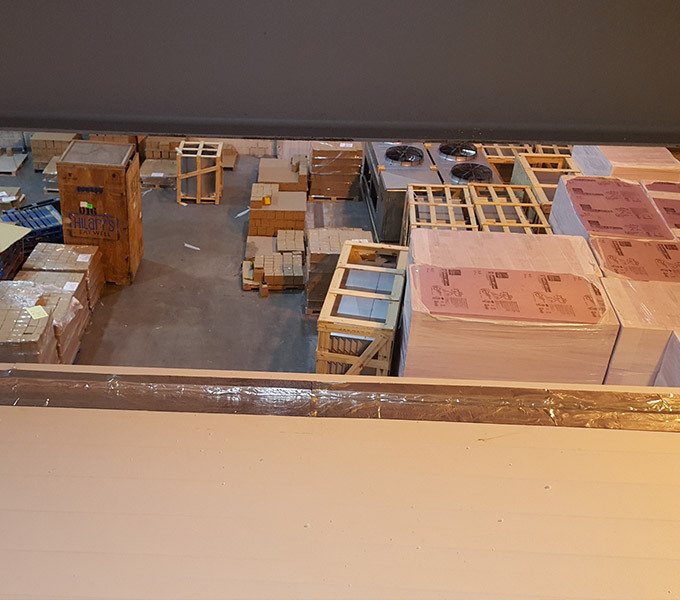 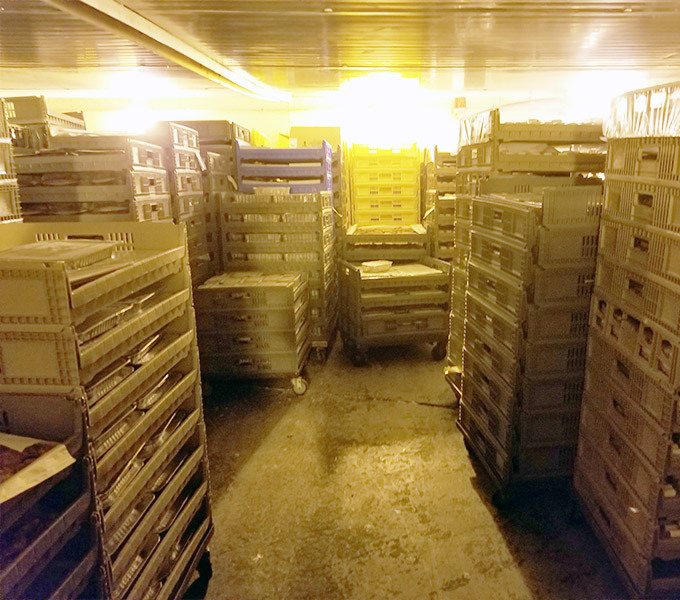 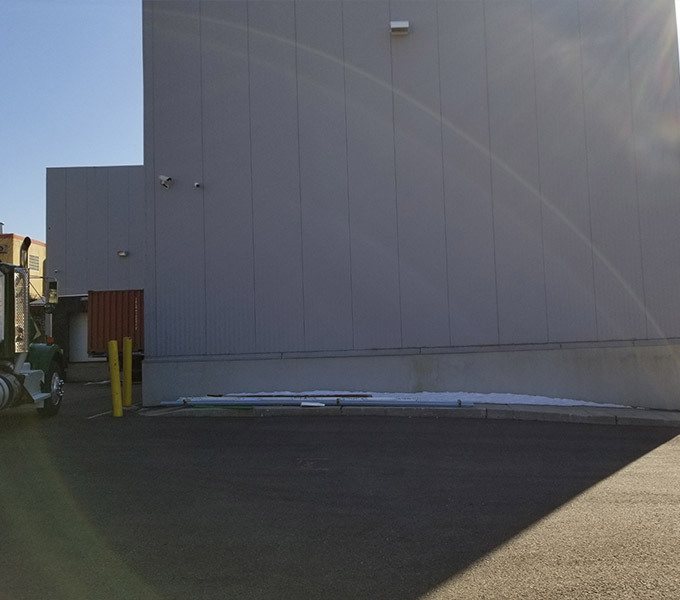 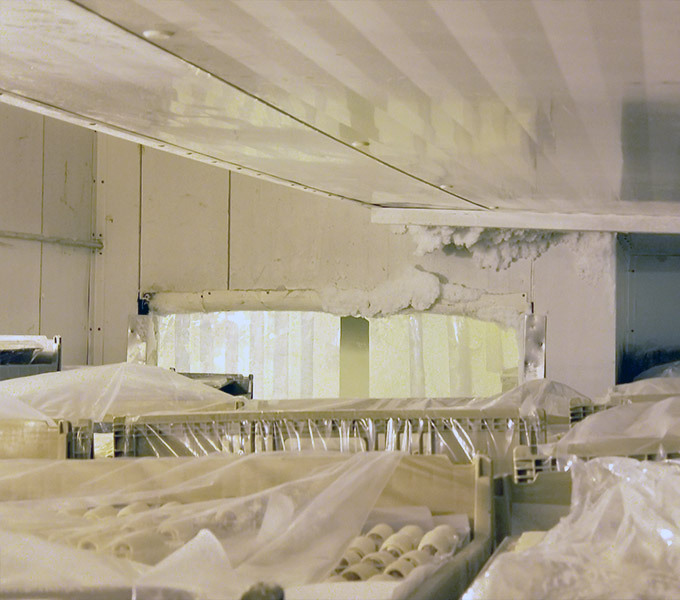 Accurate Refrigeration Design removed a concrete freezer floor in Milmar Foods Group, when the facility was shut down for Jewish Passover. 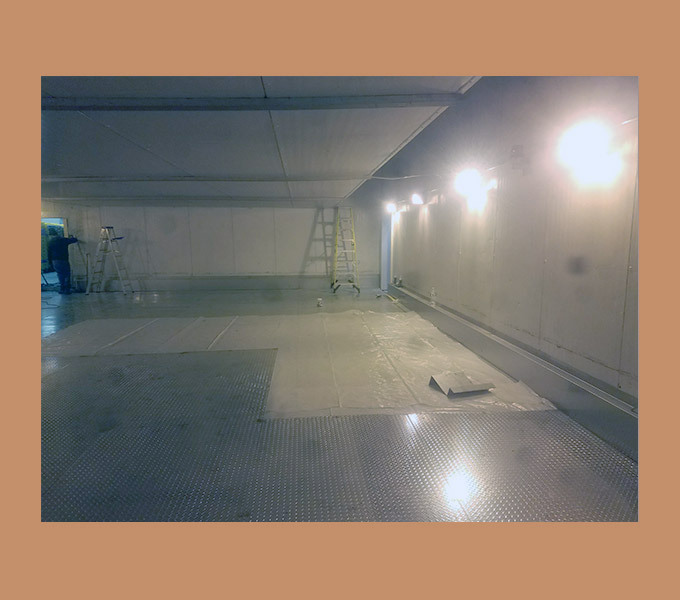 We had 9 days to remove and install brand-new freezer floor. 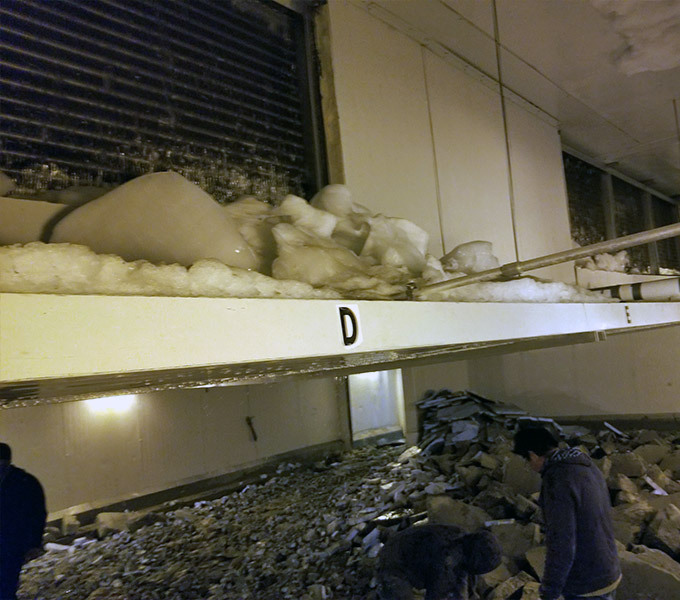 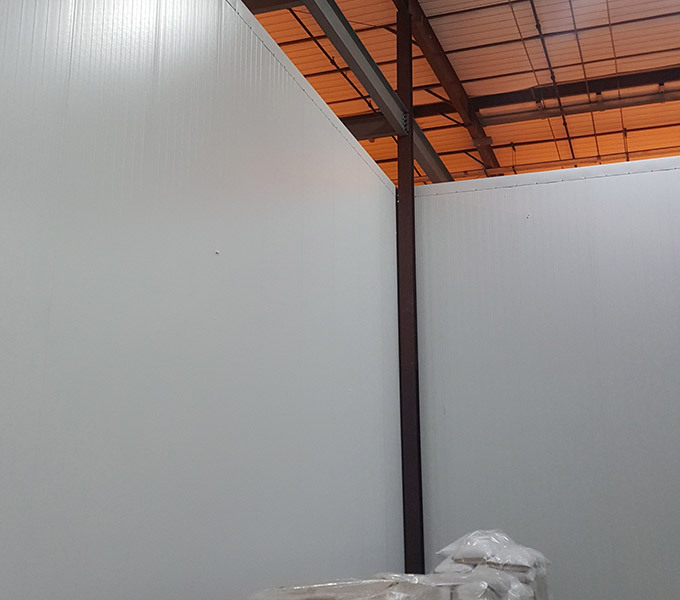 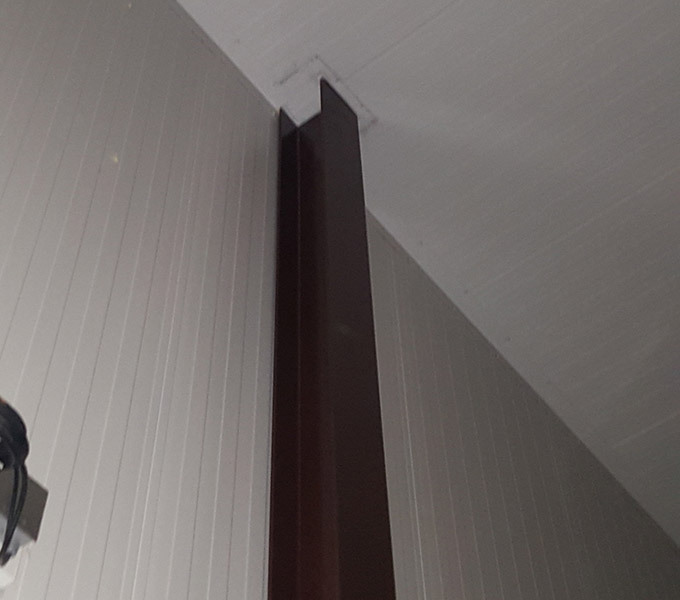 The existing freezer floor had been installed incorrectly and was raising the concrete slab in freezer. 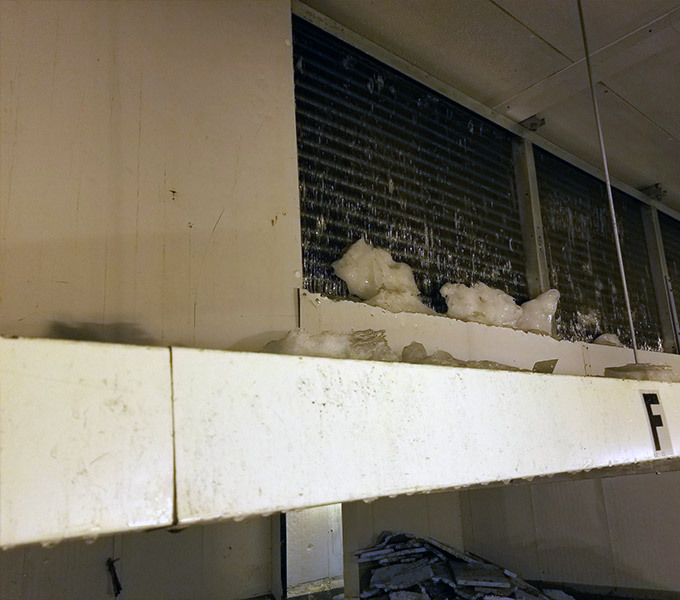 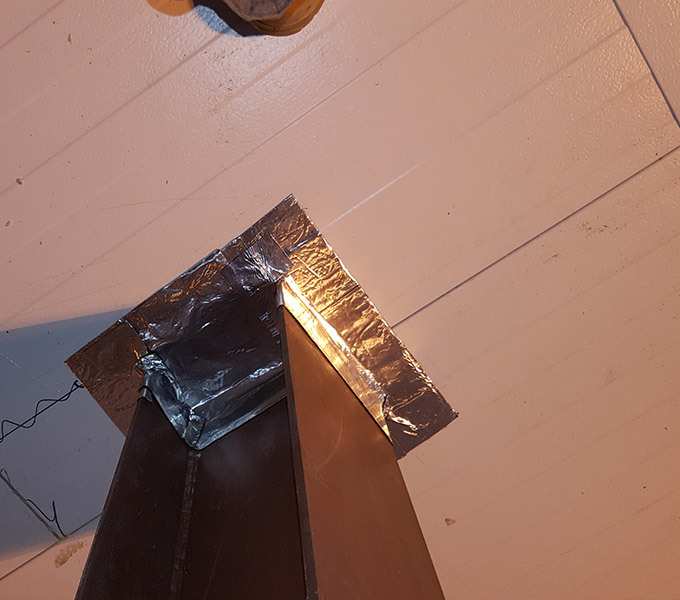 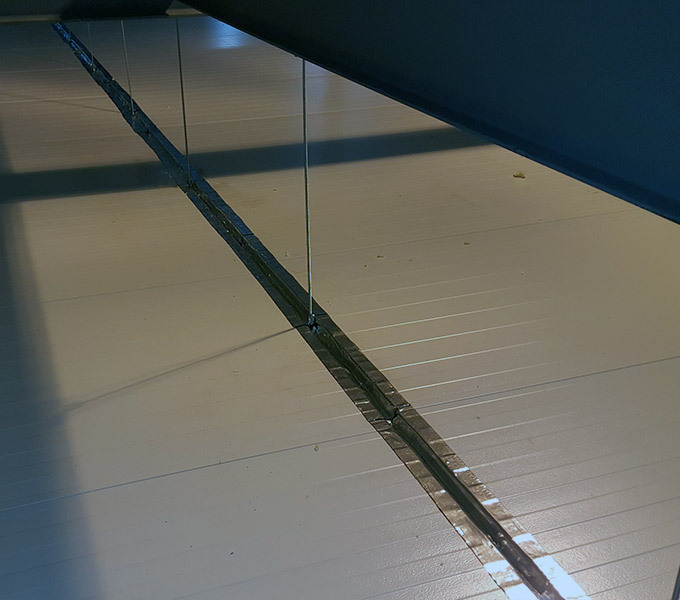 Due to the existing condensation, the evaporation system they had failed. 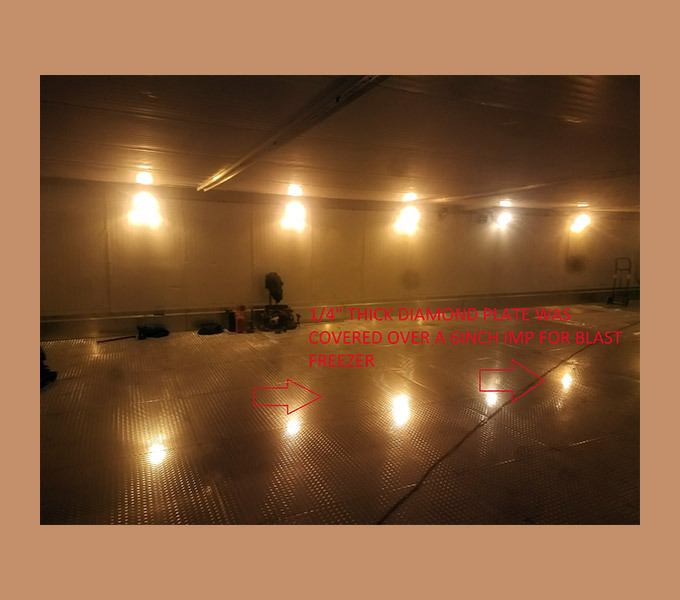 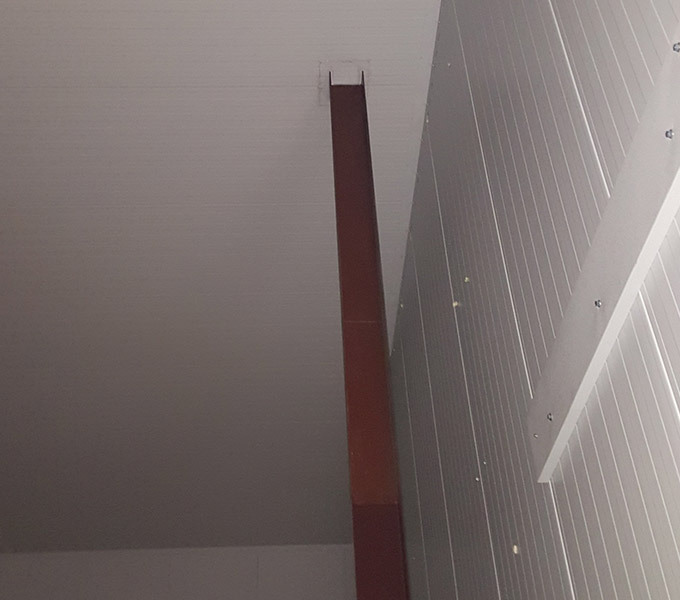 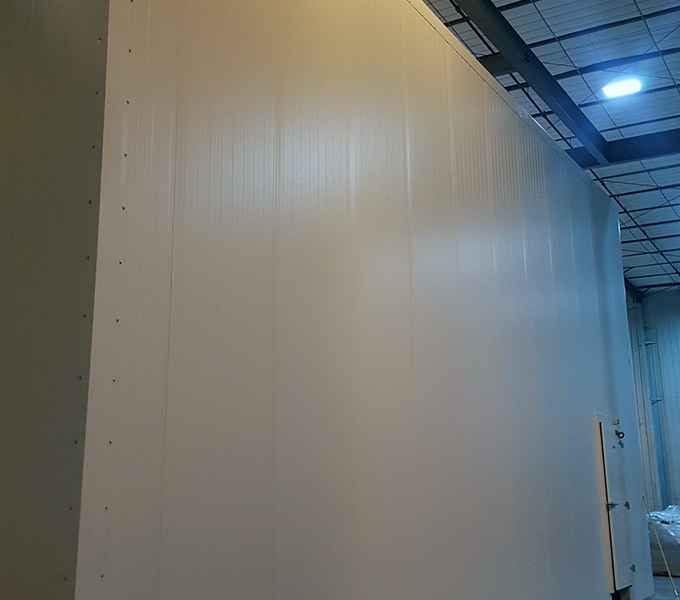 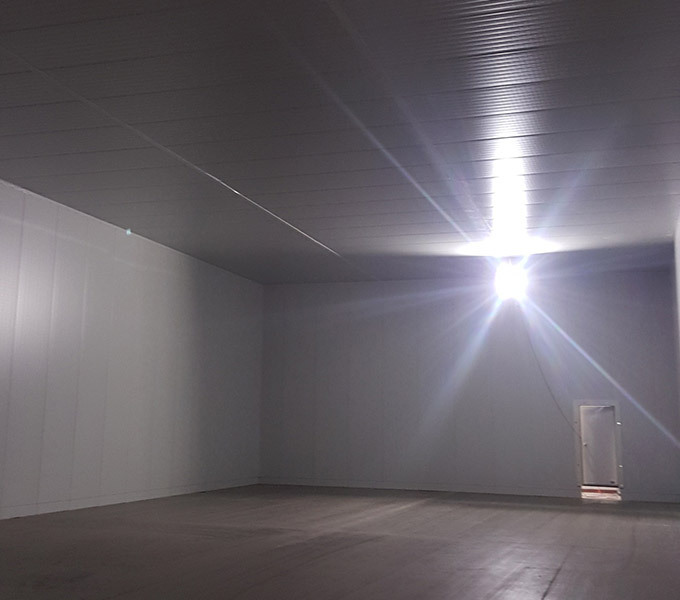 Accurate Refrigeration Design removed the existing concrete flooring, as shown in the pictures and designed and installed a new floor with a system that was designed for this type of blast freezer. 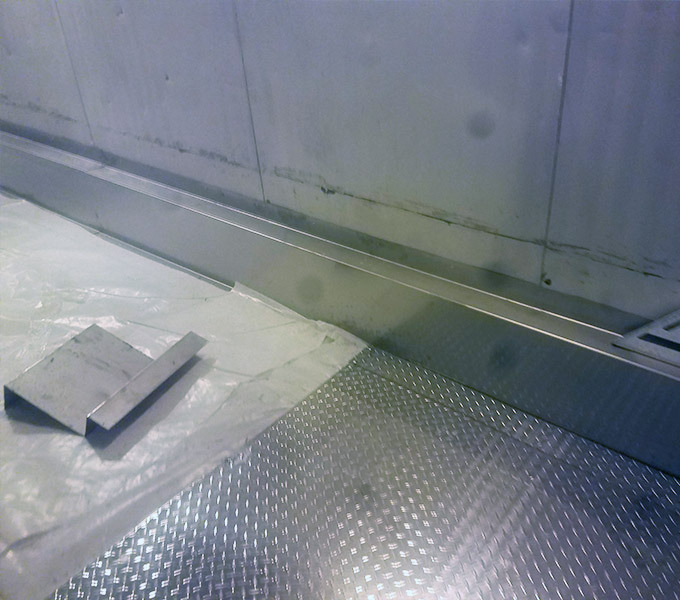 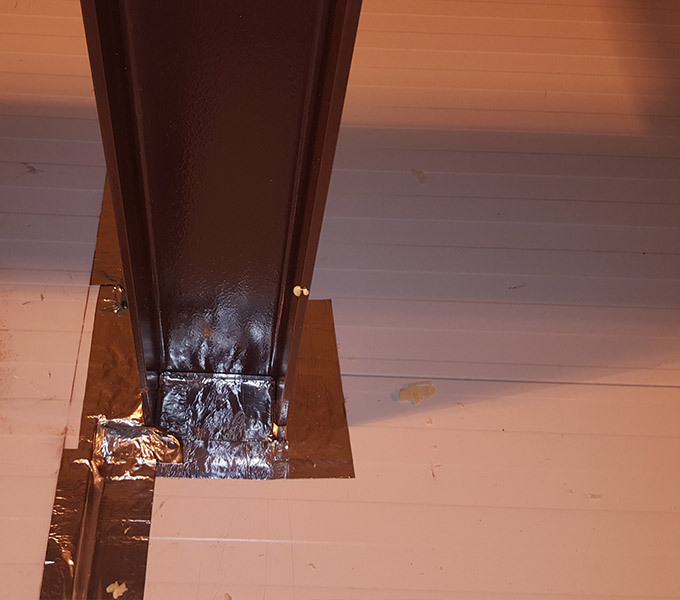 We installed stainless steel curbs and helped reduce the ice problems by fixing existing panels that were leaking. 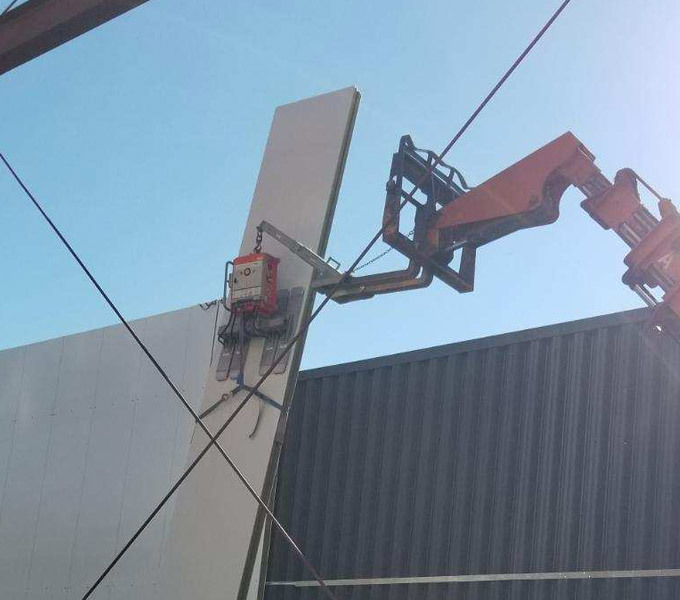 This particular job consisted of 3 crews, running 24hours a day to complete. 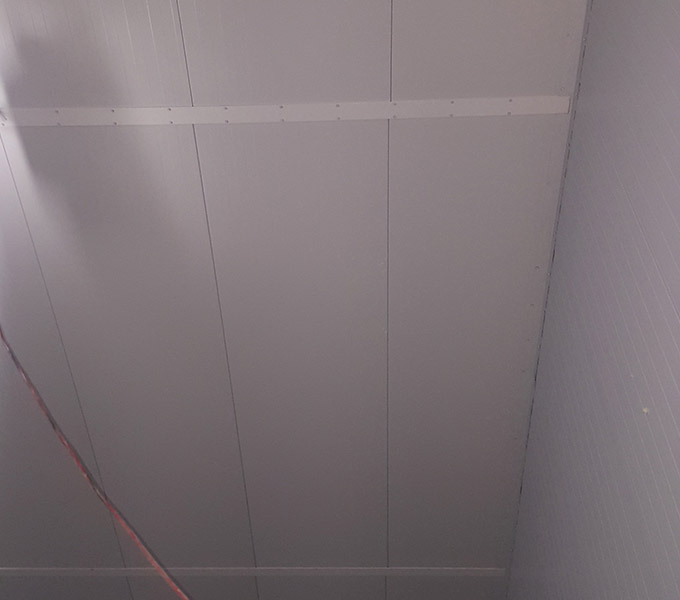 We also made the dead line in the time given for Passover holiday. 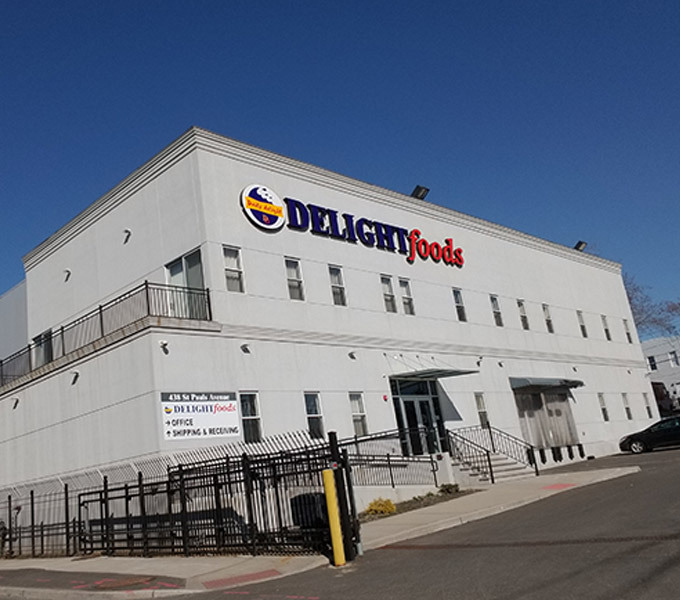 Accurate Refrigeration Design built Delight Foods complete with cooler and freezer and doors. 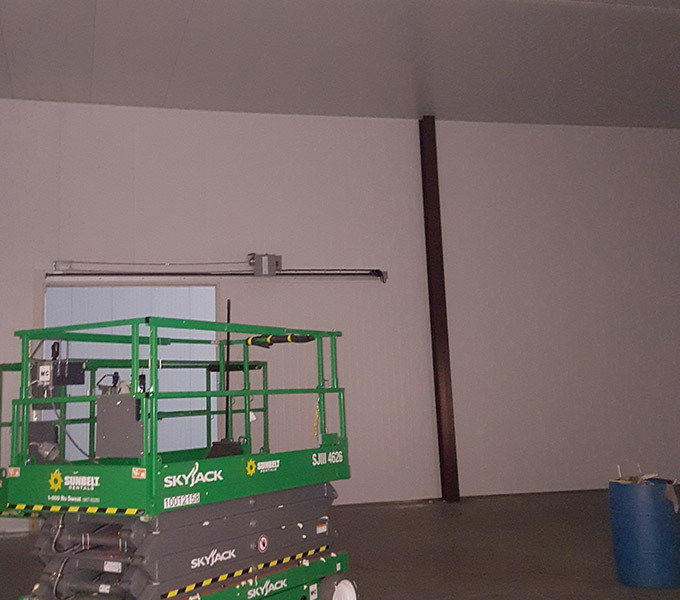 Dry storage the entire project was built with 4" and 5" insulated metal panels. 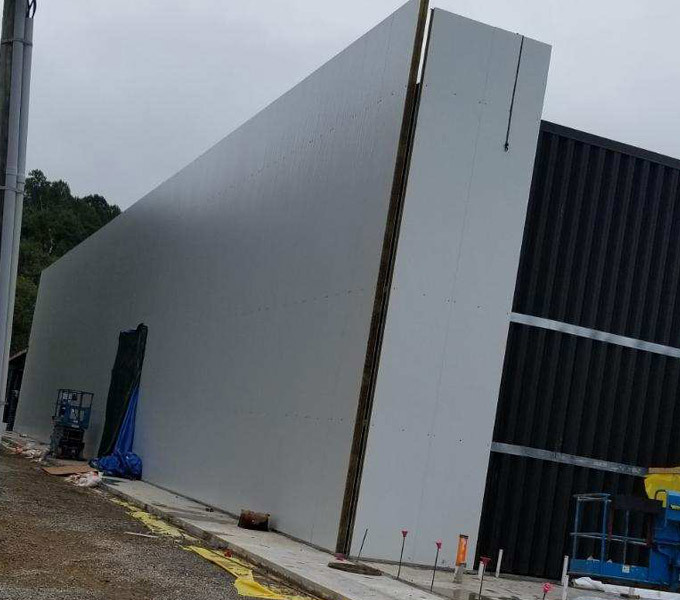 exterior 24Ga. 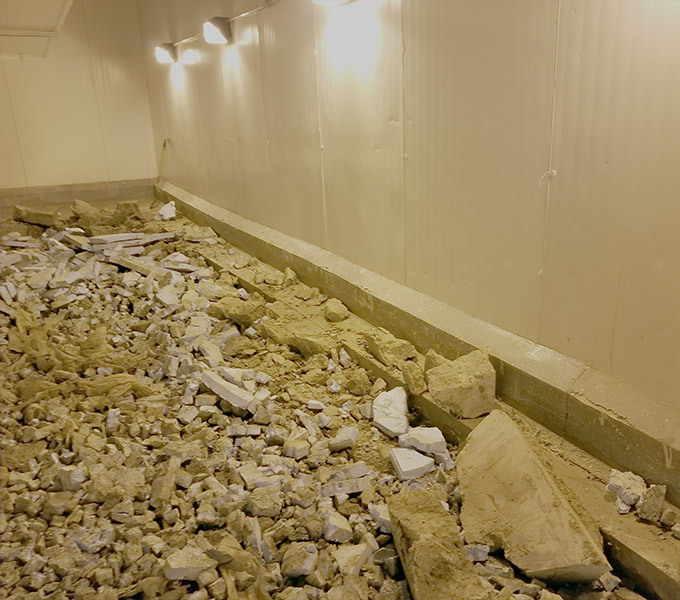 sandstone - inside 26Ga. 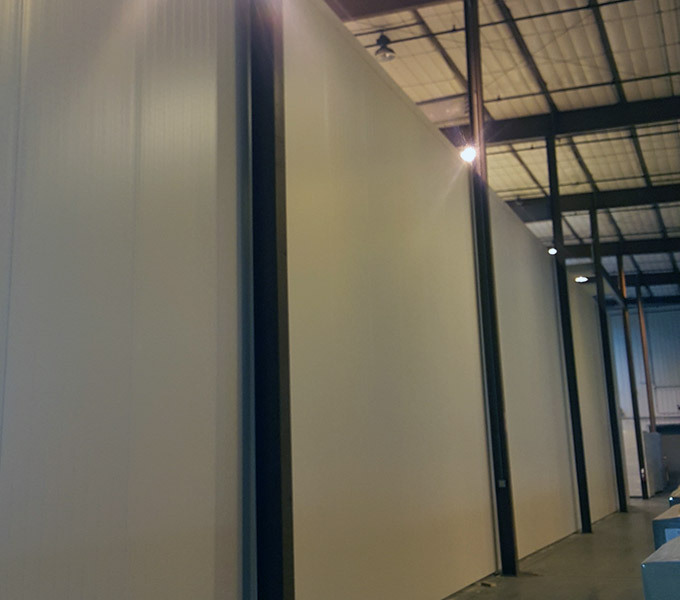 imperial white / Greenspan panels with 1.5 million dollars. 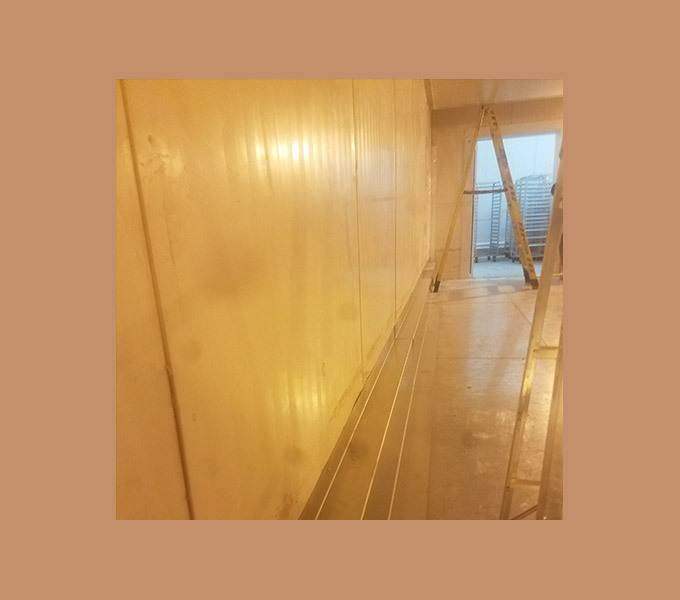 This project took 4 months to finish. 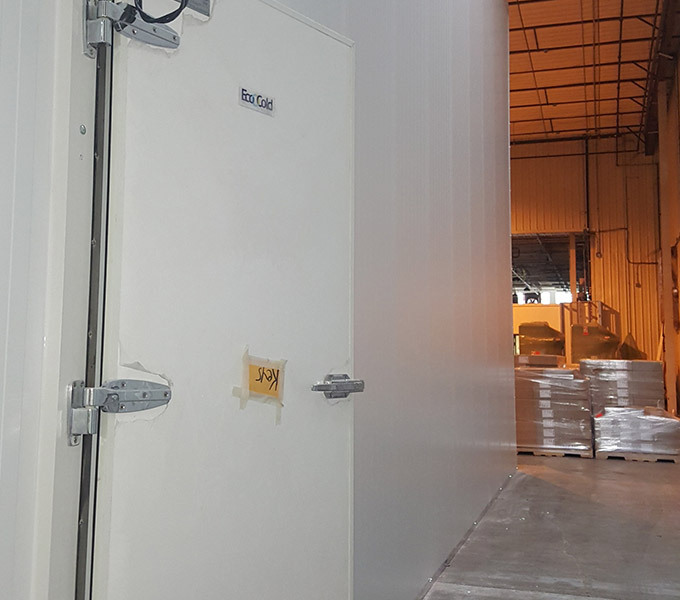 Accurate Refrigeration Design completely designed all the freezer coolers, and dry storage. 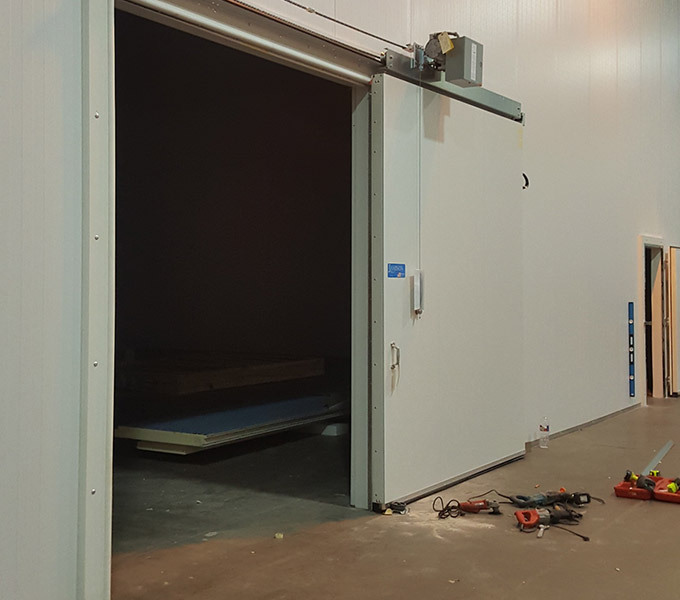 The refrigeration systems were designed with the correct product heat loads to be energy efficient, ultimately saving the customer money. 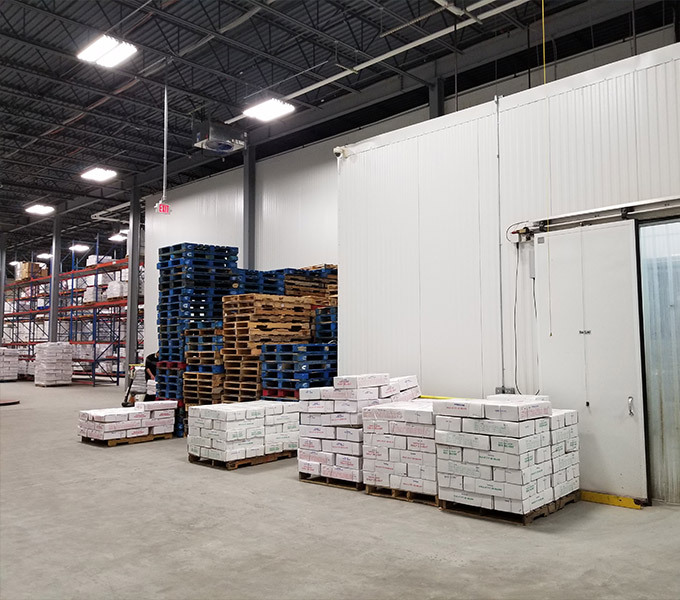 Accurate Refrigeration Design designed the entire floor plan to have a very efficient layout that allows the customer to receive and ship out produce and food that increased product inventory save money and have very clean distribution warehouse. 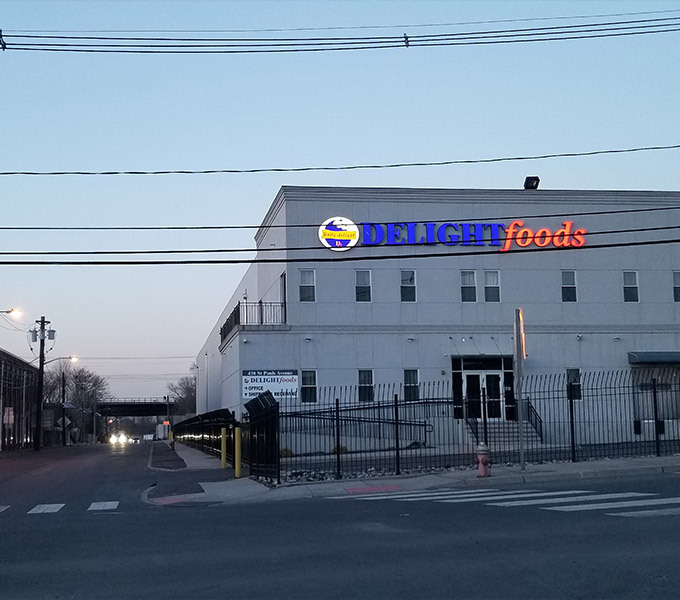 Delight Foods is extremely pleased with every detail, and that we took the time to discuss the job and get it correct the first time.